The biggest recipe site in Japan in terms of the number of users and the number of recipes,cookpad. I found an interesting recipe there. 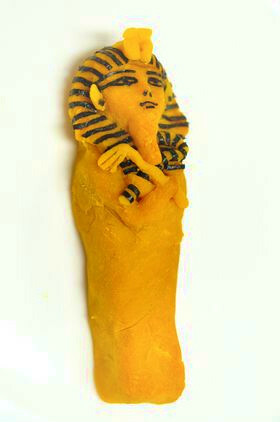 It is Tutankhamun made from pumpkin. Mix mashed pumpkin with sugar and cream cheese, and make the facial expression on the mask with finely cut seaweed. I wonder if this comes under the category of “kyaraben” (character bento)?! omg nani kore. so kooky, classic japanese.